Nitish Kumar has joined hands with the BJP and formed a new government in Bihar in the last week of July this year, after dumping the Rashtriya Janata Dal and Congress. 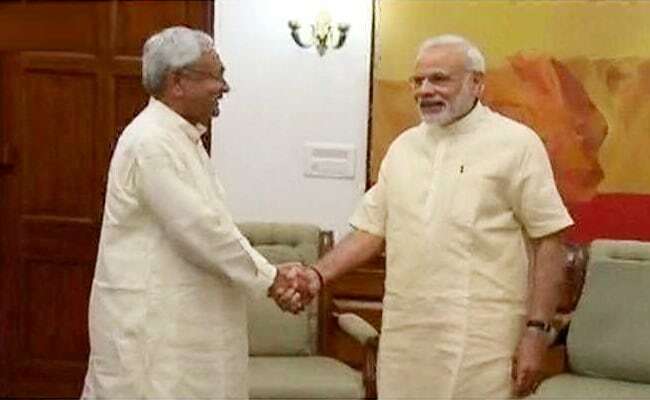 Nitish Kumar joined hands with BJP earlier this year. Patna: Bihar Chief Minister Nitish Kumar, who is also the Janata Dal United President, will not campaign for his party's candidates in the Gujarat assembly polls. The party has decided to send its 20 star campaigners minus Nitish Kumar to Gujarat, a JD(U) leader said here on Saturday. The JD(U), an ally of the BJP, is contesting the Gujarat polls alone and has decided to contest from 50 of the 182 assembly constituencies there. JD(U)'s Rajya Sabha lawmaker R.C.P. Singh, considered close to Nitish Kumar, JD(U) General Secretary KC Tyagi, Bihar Minister Lalan Singh and former minister Shyam Razak are party's star campaigners for the Gujarat polls. The Gujarat assembly elections are scheduled to be held in two phases on December 9 and 14, respectively.